Emmanuel Lévinas (January 12, 1906 – December 25, 1995) was a French, Jewish philosopher and Talmudic commentator. He fought for the French during World War II and was captured by the Germans, though remained a prisoner of war and was not sent to a concentration camp. Many members of Levinas’s family were killed in the Holocaust, however, and the impact of this large-scale massacre left its mark on Levinas, both personally and philosophically. Levinas is best known for his two major works: Totalité et infini: essai sur l'extériorité (Totality and Infinity: An Essay on Exteriority) (1961) and Autrement qu'être ou au-delà de l'essence (Otherwise Than Being: Or Beyond Essence) (1974). In these works he is largely influenced by the German philosophers Edmund Husserl and Martin Heidegger and the phenomenological method they practiced. Levinas criticized them, however, for their focus on ontology, which he viewed as neutral and impersonal knowledge. He advocated an “Ethics as First Philosophy,” in which the ethical relationship between persons takes philosophical priority over the impersonal knowledge we derive from them. Levinas's work developed phenomenological ethics by drawing Husserl and Heidegger along with insights from Talmudic studies. He took up, among other things, such issues as the meaning of life, death, love, and the relationship between the self and others. One of Levinas’s central ideas is that a human being lives for the sake of “Others”—including other people, the human race, and people in the future. He found the orientation toward others to be the intrinsic constituent of the self. The philosopher's focus on the self is the ruptured by the Face of the Other, who makes a prior demand and for whom the self is responsible. Levinas was born on January 12, 1906, in Kaunas, Lithuania, the eldest of three boys. His parents were Jewish and throughout his early youth he received a traditional Jewish education. During World War I Levinas’s family moved to the Ukraine, but in 1920 they returned to Lithuania. In 1923, at the age of seventeen, Levinas began his philosophical studies at Strasbourg University in France. It was there that he met the French philosopher Maurice Blanchot, with whom he would share a lifelong friendship. In 1928, Levinas went to Freiburg University in Germany to study phenomenology under Edmund Husserl. Phenomenology would remain Levinas’s primary mode of philosophizing though he would later be critical of Husserl and offer certain modifications to his method. In any case, Jean-Paul Sartre credited Levinas for bringing phenomenology to France, primarily through the French publication of his thesis The Theory of Intuition in Husserl’s Phenomenology (1930) and his French translation of Husserl's Cartesian Meditations (1931). In 1932 Levinas married his childhood friend Raïssa Levi, with whom he would have three children though the second, a daughter, would die young. While at Freiburg, Levinas also met the German philosopher Martin Heidegger, who had recently published his ‘philosophical bombshell’ Being and Time. Although Levinas would call Being and Time the most important work of the twentieth century, his relation to Heidegger would become problematic. Philosophically Levinas always insisted on the importance of Heidegger’s work, and yet the infamous “silence of Heidegger” regarding Nazism and the Holocaust (not only during World War II but also, and perhaps more significantly, after it) cut deeply into Levinas. Regarding the Holocaust Levinas once remarked, "One can forgive many Germans, but there are some Germans it is difficult to forgive. It is difficult to forgive Heidegger." Levinas had become a naturalized French citizen in 1930, and when France declared war on Germany, he was ordered to report for military duty. During the German invasion of France in 1940, his military unit was quickly surrounded and forced to surrender. Levinas spent the remainder of World War II as a prisoner of war in a camp near Hannover in Germany. Although the Nazis respected the Third Geneva Convention, which forbade the practice of sending a prisoner of war to a concentration camp, Levinas was assigned to a special barracks for Jewish prisoners, where all forms of religious worship were prohibited. Despite the many hardships Levinas endured in the camp, other prisoners often saw him making notes in a notebook. These notes were later developed in the works he published following the war. Following the war Levinas published a number of works such as De l'Existence à l'Existent (Existence and Existents) (1947), Le Temps et l'Autre (Time and the Other) (1948) and En Découvrant l’existence avec Husserl et Heidegger (Discovering Existence with Husserl and Heidegger) (1949). Throughout the 1950s Levinas began to develop his own unique philosophical ideas while at the same undertaking a serious study of the Talmud, about which he would later publish commentaries. His thinking, at this time, was largely influenced by the prominent Jewish philosophers, Franz Rosenweig and Martin Buber, both of whom who emphasized dialogical aspects in their philosophies. He was also frequenting the philosophical circles hosted by Gabriel Marcel and Jean Wahl. In 1961 Levinas earned his doctorate degree and began teaching at a private Jewish university in Paris, the Ecole Normale Israelite Orientale, eventually becoming its director. He also taught at the University of Poitiers in 1961, at the Nanterre campus of the University of Paris in 1967, and at the Sorbonne from 1973-1979. In this period Levinas published his two major philosophical works: Totalité et infini: essai sur l'extériorité (Totality and Infinity: An Essay on Exteriority) (1961) and Autrement qu'être ou au-delà de l'essence (Otherwise Than Being: Or Beyond Essence) (1974). The elderly Levinas was a distinguished French intellectual, whose books sold well. He had a major impact on the younger French thinkers, particularly on the deconstructionist Jacques Derrida. In fact, after Levinas died in Paris on December 25, 1995, Derrida delivered a eulogy at Lévinas's funeral. Later the text was published as Adieu á Emmanuel Lévinas, which is an appreciation and exploration of Levinas's moral philosophy. Levinas’s work continues to be an influential, though controversial, contribution to contemporary philosophical debates, particularly in the field of ethics. The main philosophical ideas of Levinas found expression in his two major works: Totality and Infinity: An Essay on Exteriority and Otherwise Than Being: or Beyond Essence. In these works Levinas forges out his own unique philosophical vision. Largely indebted to the work of Husserl and Heidegger, Levinas sought to use the method of phenomenology as his primary point of departure but then go beyond it. As with all phenomenologists, Levinas held that knowledge derives from our original ‘lived experience’ and so it is only by a concrete analysis of our experiences as they are lived that we attain the “essence” or “being” of that particular kind of experience. But despite this agreement regarding the basic approach of phenomenology, Levinas critiqued both Husserl and Heidegger (as well as all of western philosophy or “ontology”) in their attempts to reduce all experience to being or essence. The problem with ontology for Levinas is that experience always means our knowledge or consciousness of an experience. In making this claim, Levinas directs his critique not only at the particular philosophers but also at that which is intrinsic to human knowing itself. For all human knowledge, according to Levinas, is an attempt to reduce our original experiences to a neutral or objective understanding of them. In doing this, we reduce what is other to what Levinas calls “the Same.” For knowing most things (chairs, rocks, numbers, political ideologies etc.) such a reduction is legitimate for Levinas; however, there is something else (‘Other’) which is primary and which cannot (or should not) be reduced in this way. For the Other can be reduced to the Same, but in doing so it loses the very aspect which makes it Other, namely, its Otherness or alterity. This alterity of the Other, then, is fundamentally unknowable. Levinas’s aim throughout his work is to evoke this alterity, which is by definition unknowable and unspeakable. In his first major work, Totality and Infinity Levinas tries to describe “this relation which is beyond all relation” from the side of the Other. Here he critiques all Sameness as a Totality in which the history of western philosophy is the history of this search for totality. The totality of the Same is fundamentally and necessarily an “egology” in that it is always Our understanding of it which determines its nature or essence. We desire knowledge of the Whole and the pleasure we receive from it. Such a desire for totality, which is a neutral knowledge, has always been called “first philosophy.” In contrast, Levinas advocates an ‘Ethics as First Philosophy’. Here the ethical encounter with the Other takes priority over all our objective knowledge. It should be noted that for Levinas “Ethics” does not mean morality in the sense of a particular code or set of commandments which directs our actions. Rather Ethics is first or primary in the sense that it is a fundamental ‘experience’ which transcends all other experiences and takes priority over them. This happens in the encounter of the Face of the Other. In his phenomenology of the Face Levinas offers an analysis of the Other that transcends (or goes beyond) all my knowledge of that Other. In other words, the knowledge I have about another person (her ‘What’) does not adequately account for Who she is. Although there is disagreement among scholars of whether such an “experience” can be verified in my actual or empirical encounter with another person, Levinas argues that the Face shatters all my conceptions and ideas of the Other. Such a shattering or eruption is the breaking of the Infinite into my enclosed, egoic world. This occurs as a kind of revelation in which the face makes a demand upon me. Such a demand happens, however, before I can express or know it and so before I am free to accept or deny it. I instantly recognize the transcendence and ‘heteronymy’ of the Other and so in this sense the Other takes priority. In the later work, Otherwise Than Being, Levinas tries to develop the implications of the earlier work both in style and in content. In style, Levinas takes the critique of Derrida to heart by developing a more fluid style in which the ‘Said’ of conceptualized abstract thought is “ruptured” by the ‘Saying’ of a more fluid, descriptive account of this primary experience which cannot in principle be described or spoken of. In content, Levinas tries to develop a new kind of “ethical subjectivity” where the implications of the priority of the ethical Other are developed. One important and controversial aspect which Levinas emphasizes is the asymmetry of the ethical relation where the Other calls me into question and in turn makes a demand upon me. For this reason, the relation between the Other and myself is not reciprocal but one of vulnerability in which the Other takes priority over me. In this way, then, I am responsible for the Other. Levinas pushes language to the extreme by describing such responsibility or vulnerability as a “passivity beyond all passivity” and as a “being taken hostage.” Critics argue that such extreme language leaves Levinas’s philosophy not only impractical but dangerous, since it appears to foster an overly passive response or vulnerability in the face of possible abuses of power. Defendants of Levinas often respond that Levinas claimed to be describing the fundamental (or ‘transcendental’) ethical structure, rather than its practical implications. Followers of Levinas have attempted to draw a more practical philosophy from his Ethics but with little widespread acceptance to this point. Lingis, Alphonso, trans. 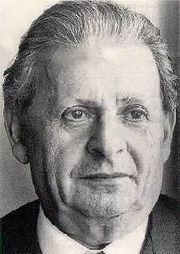 Collected Philosophical Papers of Emmanuel Levinas. Phaenomenologica 100. The Hague: Martinus Nijhoff, 1987. "Viewing Power in Heidegger and Levinas"
"The Anarchism of the Other Person"
"Persons Die: Ricardo Flores Magon and Emmanuel Levinas"
On Escape, a review of Levinas' De L'êvasion by Michael R. Michau, Other Voices, January 2005. This page was last modified on 7 September 2017, at 15:55.